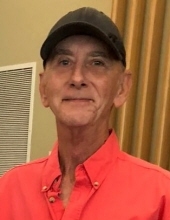 Richard L. “Rick” Johnson, 63, of Bloomington, Illinois, formerly of Le Roy, Illinois, passed away at 7:08 P.M. Saturday, February 9, 2019, at Barnes Jewish Hospital, St. Louis, Missouri. To the family, care of Jared Johnson. "Email Address" would like to share the life celebration of Richard L. "Rick" Johnson. Click on the "link" to go to share a favorite memory or leave a condolence message for the family.